General Motors Co. plans to cease putting its corporate "GM" logo on the side of its vehicles in the coming model years following decision by the company's management team to put more emphasis on individual brands instead of the parent company. GM spokesman Terry Rhadigan said the decision to remove the logo – known as the GM "Mark of Excellence" – was made earlier in the month by GM's newly-formed executive committee. Mr. Rhadigan said the logos will be "gradually" phased out starting in the 2010 model year. The auto maker earlier in the year filed bankruptcy protection and emerged quickly thanks to a $50 billion funding commitment from the U.S. government. GM has in the past year decided to sell or kill four of the eight brands, including Hummer, Pontiac, Saab and Saturn. The remaining brands are Chevrolet, Buick, Cadillac and GMC. I still think it was a huge mistake to shut down the Pontiac Brand. I can see getting rid of the others but not one of the big ones from way back when. I sometimes wonder if the Pontiac brand may even come back though. I could see Olds going even though I did not like it, but I think Buick should have gone before Pontiac did. Buick buyers are 100% loyal, I agree. But those loyal Buick buyers are at the age now, most of them are or almost back in diapers, and not needing a new car often at all, and not going to be around for the long haul, like the younger generations more attracted to the sportier Pontiacs. Poor marketing decision in my opinion. That could be very true. The renaming the models to G's wasn't to swift, like the G6 and G8 which replaced Grand Am and Grand Prix. There was not hype of bringing back the TA firebird with the Camaro, and GTO was an Austrailia made overpriced flop. They did it to themselves. I just hope to see it come back. And if it doesn't that will be OK too. I just don't think there is a Buicl model that will makes waves, like say the GTO or Firebird, or an Olds Cutlass, or 442. Something tells me Pontiac or Olds may be back, but then agian, they may not. It cost alot of money bring back a brand name. Reopening dealerships, signage, literature etc. I think by dropping the GM logo will cause the drop in their loyal name brand fans. 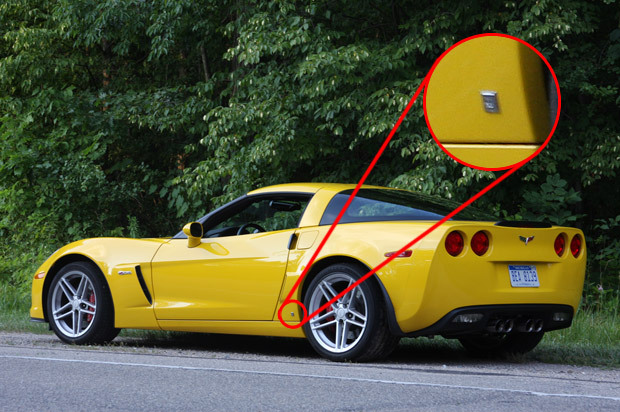 There not dropping the GM logo all together, just from the side of the cars & trucks. Oh !!!! sorry I guess I read it wrong.. I thought they were doing away with it completely. Not many. There are a few. I am thinking Buick Grand National was the last Young person car they built. I would never drive a Buick, ever! They are grandma cars and i hate them.